Products - Arotek Industries Bari-Brahmna, Jammu and Kashmir, India. 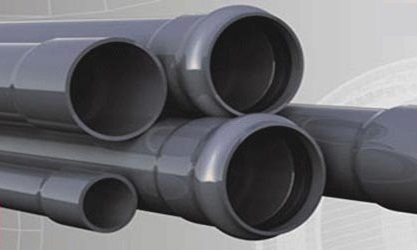 PVC Pressure Pipes are designed and developed by Arotek Industries for submersible pumps and are also available as per ASTM D-1785 standard. Arotek adopted Bi-axial technology for pipes and specially designed thread profile at both ends for jointing couplers with PVC wire locking technology. The pressure pipes available with us is capable of maximum depth there by assuring excellent flow of water. 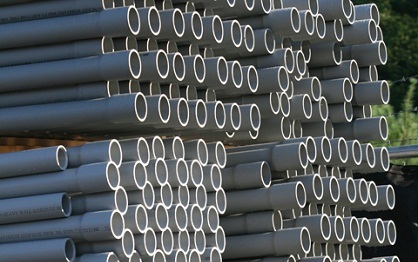 We serve Column Pipes to Small and big suppliers, wholesalers and retailers at competitive prices. 1. Bi-axial technology gives high tenacity and high impact strength. 2. Specially designed thread profile for maximum load capacity. 3. EPDM rings for leak proof joints and jerk absorbsion. 4. PVC wire locking arrangement to avoid pipe slippage in the bore. 5. Efficient pumping due to low friction loss resulting in energy saving. 6. Fast lowering and pulling of pumps. 8. Light in weight offers easy handling and transportation. UPVC Solvent/Sealing ring pipes are used in soil and waste discharge system inside buildings including ventilation and rain water system as per IS:13592:1992.These pipes have one end socket/sealing ring and the other end plain which fit snugly without couplers. 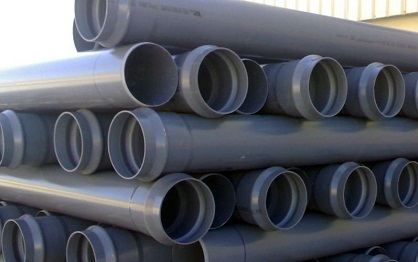 The pipes are manufactured in the range of 40 mm to 160 mm diameters. The wall thicknesses are as per Type-A and Type-B as per IS: 13592:1992. 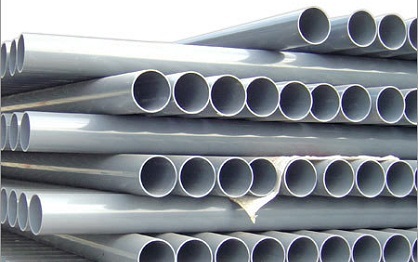 The pipes are available in grey colour and are supplied in nominal length of 2, 3, 4 and 6 meters. 1. Quick and convenient installation. 2. Smooth finish to ensure non chocking system. 3. Specially compounded to withstand rugged outdoor installation. 4. UV stabilized to ensure lifetime endurance. 5. Adequate and easy access for cleaning and clearing obstructions. 6. Excellent chemical and corrosion resistance. The term "conduit" is commonly used by electricians to describe any system that contains electrical conductors, but the term has a more restrictive technical definition when used in official wiring regulations. We offer conduit pipe, which is designed and developed in conformation with IS-9537 (Part 3) specifications. These conduit pipes are widely used for open and concealed wiring in houses, residential & commercial buildings, industries, traffic signal and street light. 1. The electrical conduits are strong and unaffected by weather conditions. 2. Light weight and flexible: These conduit pipe are easy to join. 3. Convenient joining: Easy joining. 4. Resistant to: Wear and abrasion, water, rusting. 5. Safe: These are fire resistant with very less electrical conductivity. 6. Excellent surface: Have smooth internal and external surface. 7. Cost Saving: These are economical. 1. These plumbing pipes are strong and breakage free. 3. Have high precision trapezoidal threads which ensure easy joining. 4. Corrosion & rusting, chemical formation, scale formation, biological formation. 5. These plumbing pipes are fire resistant and have good electric insulation. 6. Have smooth internal surface which implies low frictional loss. 8. These are free from breakage and environmental stress. 9. The pipes are very economical as reasonably priced & maintenance free. 10. Made by PVC material. 1. To provide water connections for bathrooms.